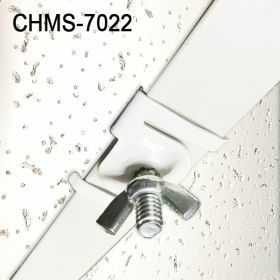 Secure Metal Twist Ceiling Hanger with Threaded Stud and Wing Nut, Ceiling Grid Sign Holders, Clip Strip Corp. 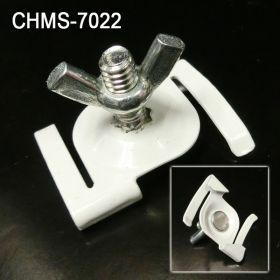 Minimum quantity for "Secure Metal Twist Ceiling Hanger with Stud and Wing Nut Fastener, CHMS-7022" is 25. When hanging a sign or banner at a retail store that utilizes a ceiling grid or drop ceiling and are looking for a very secure product, the Secure Metal Twist Ceiling Hanger will get the job done. There are many ways to hang a sign in the point of purchase environment, trust Clip Strip Corp. products to get the job done and help retailers to properly communicate to their customers.